If you are in Madurai for the first time, here are some places that are worth your time. 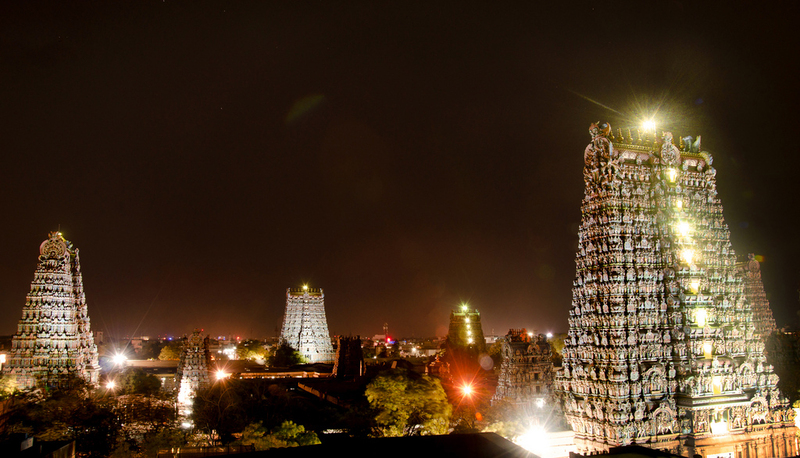 Meenakshi Amman Temple, a great example of Dravidian Architecture, is the geographic and ritual center of the ancient city of Madurai and one of the largest temple complexes in Tamil Nadu. The temple complex is divided into a number of concentric quadrangular enclosures contained by high masonry walls. The four streets surrounding the temple are pedestrian-only. First, have a look around the Pudhu Mandapa , the 100m-long, 16th-century pillared hall facing the gopuram. It’s filled with colourful textile and craft stalls and tailors at sewing machines, partly hiding some of the lovely pillar sculptures. A light-blue Nandi bull sits outside the mandapa’s eastern entrance. Once inside the eastern gopuram , you’ll find the Nayak-period Thousand Pillar Hall on your right. This is now an Art Museum where you can admire at your leisure a Shiva shrine with a large bronze Nataraja at the end of a corridor of superbly carved pillars, plus many other fine bronzes and colourful painted panels. What the Meenakshi Temple is to Nayak religious architecture, Thirumalai Nayak’s palace is to the secular. This palace, built in 1636, is a classic fusion of Dravidian and Islamic styles. Although it’s said to be only a quarter of its original size, its massive scale and hybrid Dravidian-Islamic style still make quite an impression and testify to the lofty aspirations of its creator. The palace is known for its giant pillars. You enter from the east. A large courtyard surrounded by tall, massive columns topped with fancy stucco work leads through to the grand throne chamber with its 25m-high dome. Off this is a museum with stone carvings and archaeological exhibits. 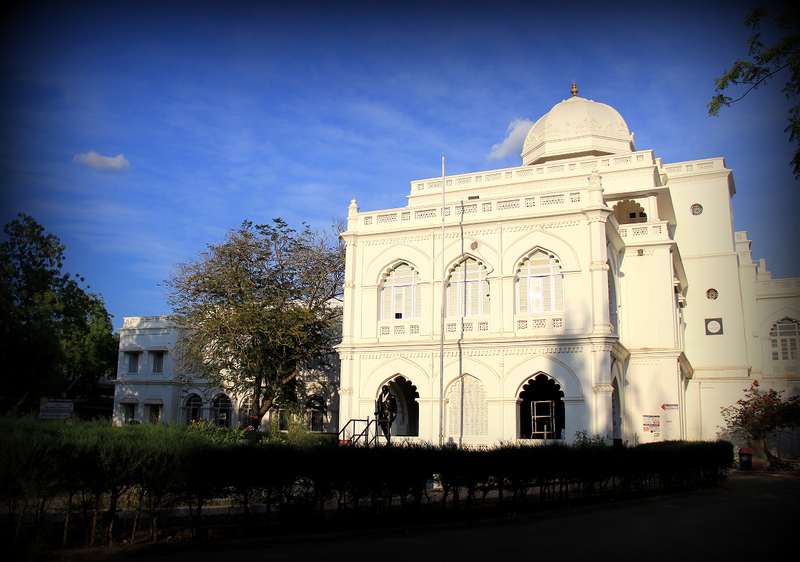 Gandhi Memorial Museum was established in 1959. It is now one of the five Gandhi Sanghralayas (Gandhi Museums) in the country. Housed in a 17th-century Nayak queen’s palace, this excellent museum contains an impressively moving and detailed account of India’s struggle for independence from 1757 to 1947. Included in the exhibition is the blood-stained dhoti (long loincloth) that Gandhi was wearing when he was assassinated in Delhi in 1948; it’s here because it was in Madurai, in 1921, that he first took up wearing the dhoti as a sign of native pride. It also has the original letter written personally by Gandhi to Narayanan Sathsangi of Devakottai, a congratulatory message sent by Gandhi to freedom fighter and poet Subramania Bharati, and a letter written by Gandhi to Adolf Hitler addressing him as Dear Friend. The small Madurai Government Museum is next door, and the Gandhian Literary Society Bookshop behind. Please visit our official Travel Guide for more information on famous tourist spots in Madurai.